The field of bioethics, which is a fairly recent phenomenon in the history of mankind, has always been a slippery slope, as there is a huge difference between the natural law and the bioethical framework of committees or individuals making up the rules as they move along. A perfect example of what it means to succumb to such temptations can be found in a recent article entitled, “Is the Killing (Abortion) of Human Embryos Always Murder?” In this article we can find the kernel of truth behind the question: What is bioethics? The author, bioethicist and professor of pediatrics Steve Potter, Ph.D., sets out to first query whether or not the human embryo is an individual. He tells the reader that early human development begins slowly. But then again, as someone in her 60s, I would testify to the fact that life commences slowly as well; in fact, life provides those of us who survive the treachery of waiting to be born the opportunity to grow spiritually, intellectually, and in every way. I do not personally know anyone who didn’t commence his journey by being that singe cell embryo. So where is Potter going with his query? I can assure you that, first and foremost, even though he is a scientifically-trained bioethicist he does not understand precise language. His article is filled with generalities and fake science, including the misleading word “conception” which he marks as the beginning of the human entity he refuses to define as person. 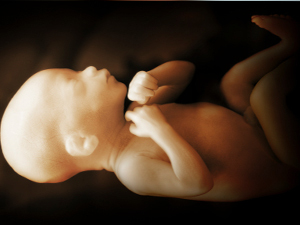 Potter goes on in typical fashion to claim that there are many arguments that suggest that the biological beginning of a human being is not really the right point from which to determine full personhood. He argues that nobody knows when the soul enters the body. He suggests that because the single-cell individual does not have a heartbeat or is not experiencing consciousness, he could not really be a person. He even goes so far as to suggest that those who are deciding when life ends have given us a path for deciding when a human being begins. If this sounds like a slippery slope toward individual subjective decision-making that results in mayhem, direct killing, and worse, then you are already way ahead of Potter in your ability to use reason instead of arrogance to find truth. And believe me, these days it seems impossible for many to wend their way down the right path toward the difference between what is good and what is bad. Note, please, the use of the word “abortus” instead of the word baby, human, or even individual. Folks like Potter who go out of their way to build a wall between accurate science and the use of reason present a case study in how we got to a point where we kill people and call it choice. This is why I believe it does take a criminal mind, or at least a mind unwilling to discern natural law ethics, to deny that, were it not for the fact that each person began the way he began, nobody would even be around to think about the gobbledygook being published today as bioethics. So which ethics will you choose to guide us through the turbulent 21st century before us—secular bioethics, or the moral law? The choice is yours—though it might be prudent to remember that it is not just that we have a choice. Of course we each have a choice, or there would be no ethics at all! The real issue is whether or not that choice is good or bad. A small error in the choice of an ethics will lead to multiple—indeed—massive harm and destruction in the 21st century—for ourselves, as well as for our culture and society. Choose well, my friends.